Nowadays, there are many more pho options beyond the Vietnamese communities and I love to check them out whenever possible. 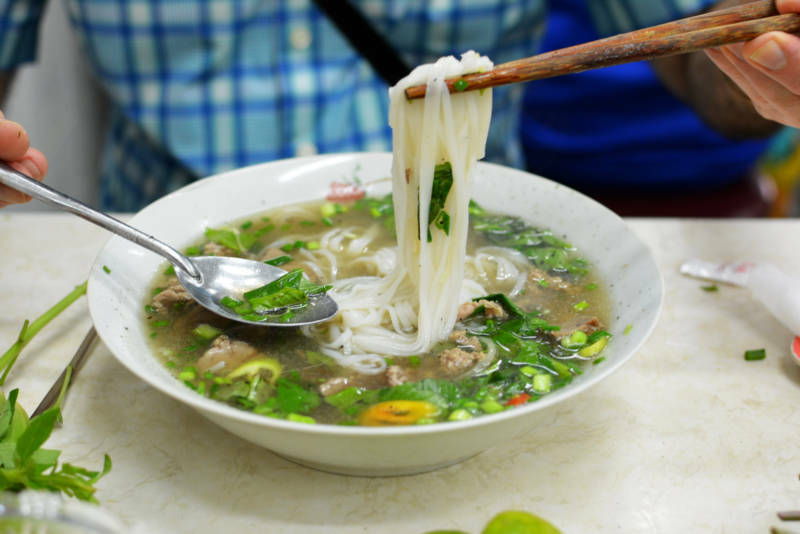 From the cooks in the kitchen to the servers and customers in the dining room, more non-Vietnamese people are getting into the pho scene. As a cookbook author and cooking teacher, I also know first-hand that a multicultural mix of home cooks across America is interested in making pho. At Mic, a news site with a millennial audience, the controversy was framed as "Columbusing" – a word that describes when white people "discover" something that has been around for years, or even centuries. The term was new to me, but the concept was not. For years, some people conjectured that pho had strong French roots because it resembled feu ("fire" in French), as in pot-au-feu, the boiled beef dinner. The noodle soup's name most likely evolved from the Vietnamese pronunciation of fen, the Chinese term for flat rice noodles. In applying the Columbus metaphor, Mic signaled that pho had truly become part of America's multicultural table. It had become a vehicle for having a difficult, important conversation about race.